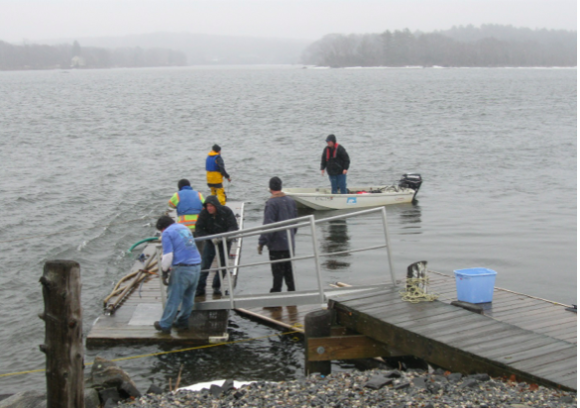 It was not an easy task and, at one point, a dock almost got away. ESSEX — “Even when it’s snowing, club members have been excellent when it comes to giving us a hand,” said the Pettipaug Yach Club’s Rear Commodore, Kathryn Ryan, on Saturday. 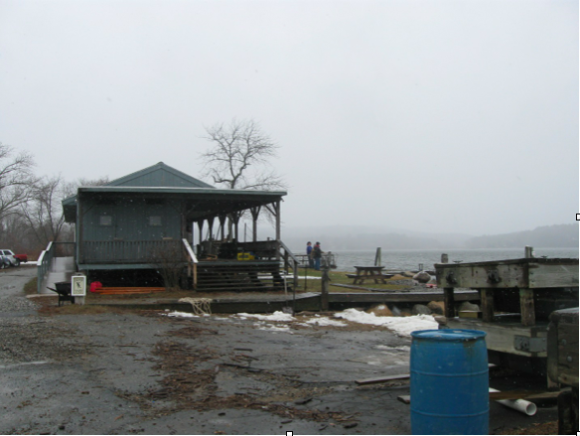 Pettipaug Yacht Club house where the dock party took place. 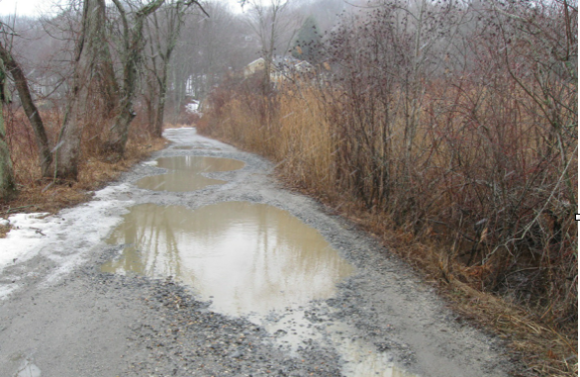 The puddled driveway down to the club house. 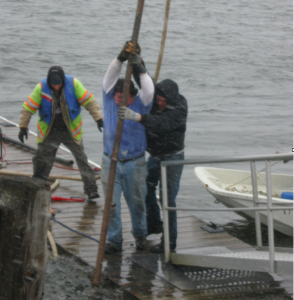 All told some 24 club members checked in — navigating challenging conditions en route to the club — to put the dock in the water for the upcoming sailing season. The club had originally scheduled putting in the docks two weeks ago, but the weather did not clear until this past weekend. Despite the wait, the weather was still not particularly nice with a steady light snow, and a chilling temperature of 34 degrees. But the job was done!